Alexandrite was discovered in 1830 in Russia’s Ural Mountains and is one of the rarest gemstones to source, particularly in large sizes. Because of its scarcity, alexandrite is a relatively expensive member of the chrysoberyl family. It shares its status as a June birthstone with cultured pearl and moonstone. Alexandrite, with its chameleon-like qualities, is a rare variety of the mineral chrysoberyl. Its color can be a lovely green in daylight or fluorescent light, changing to brownish or purplish red in the incandescent light from a lamp or candle flame. This is a result of the complex way the mineral absorbs light. 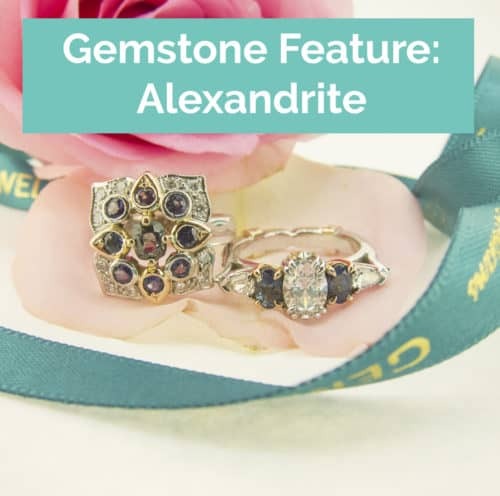 Alexandrite is also a strongly pleochroic gem, which means it can show different colors when viewed from different directions.